You'll "Treasure" This Nightstand for many years to come. 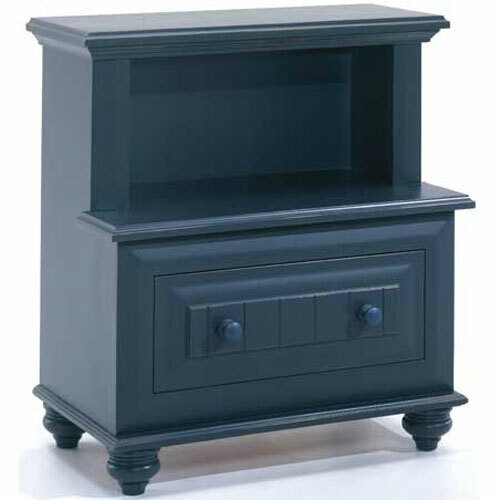 An open shelf to store some bedtime favorite books and a single drawer for the items that need to be out of site, this nightstand will fit in perfectly with any classy furniture. Whether in the kids' room or the guest room, you'll want this to remain part of your family forever. While you're at it, take the optional hutch to add much needed storage space or simply for display space - you won't regret it!